In this phase, I will show the steps it takes to make that 5150 look. 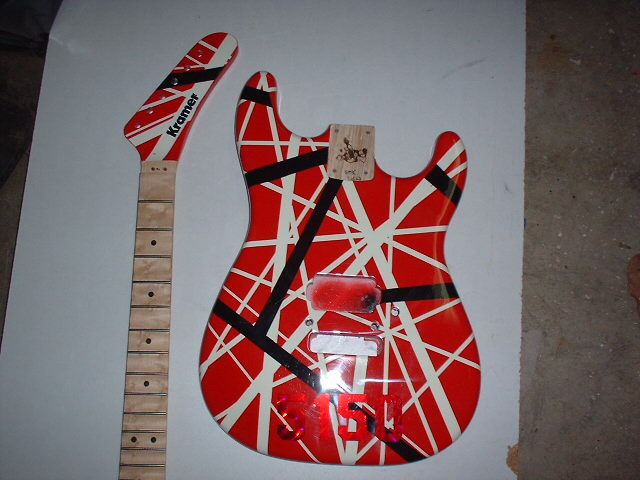 Here is a picture of the body and the neck in Brads workshop. 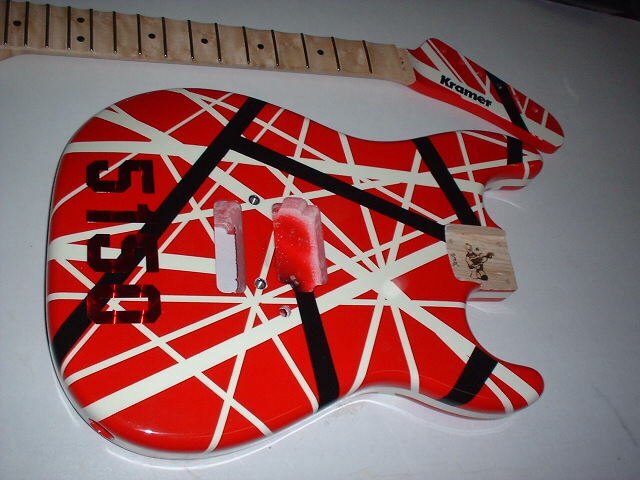 The body and headstock were fine sanded and cleaned. The vinyl sealer was applied and fine sanded and cleaned. 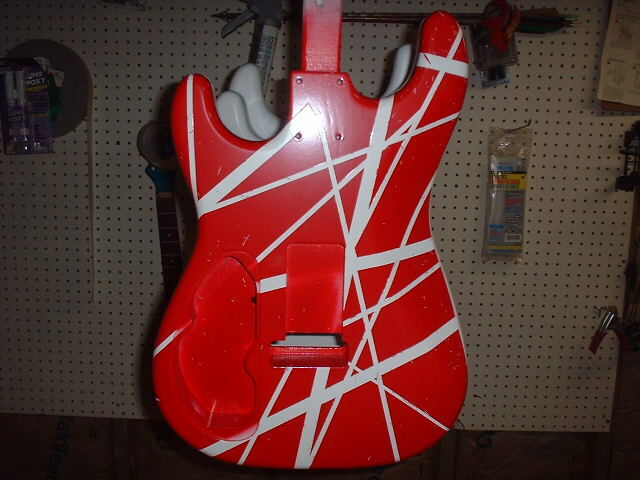 Now the guitar is READY for the white base coat. Here is the final base coat of white. In the picture it looks grey, but it's really white. Here the tape is applied very carefully to match the original. Here a very thin coat of white is applied. Now, the red is applied and is left to cure. Red paint cured and tape was removed. 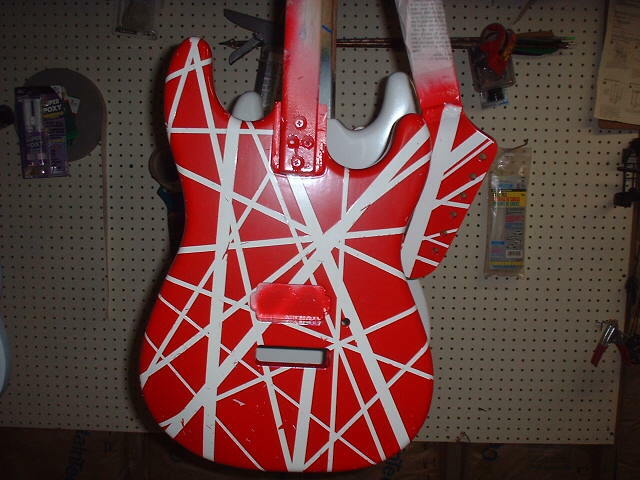 Now that is done, the guitar will be rubbed down and black stripes will be added. Then rubbed again and then the clear coat will be applied. After the stripes have been cleaned up, the black stripes are applied. And now for the final picture before it's trip back to Denver. Thanx Brad for all your hard work! You can't get any more perfect than this. Eddie would want another one just like mine now.